Love a good nail polish especially loving when they are healthier for our bodies (non-toxic). I have only tried Smith & Cult. How about you? Have you tried any of these? Looking forward to exploring. Sharing is caring. In love with Nail Lacquer? This is an awesome polish from the hues to the way the lid is made that you apply the polish with. I am mesmerized by this polish. The best part it contains only THE BEST. You know all the names we can’t even pronounce and that are bad for our health. NO toluene,dibutyl phthalate,camphor,formaldehyde nor formaldehyde resin. I told you you can barely pronounce them! This brand of polish was created by Dineh Mohajer whom I have had the pleasure of meeting at a beauty event. She was the founder of the brand Hard Candy a fun brand that started all the cool packaging and a touch of whimsy. I featured this brand on TV today. Thought you’d like to hear about this new brand. 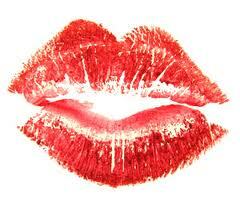 Kisses to you… Mr.Christian Louboutin! The Parisian shoe designer with the famous red bottom soles Christian Louboutin has entered the world of nail lacquer! Now,that I will spring for! An eight inch sky high bottle of luxurious nail lacquer is $50.00 and I intend to own one of each! Be still my beating heart. Stay tuned I must get my hands on a bottle of that liquid finger and toe nail LOVE! Oh how he seduced me! Behind the scenes of a TV show today! Today I featured Spring beauty and how you can color your face and world with the gorgeous new shades this spring. Emerald green as Pantone the color genius company has declared is the #1 new shade to consider wearing in clothes and in makeup. Baked beauty in base, blusher and eyeshades is a rage that is not going away and the formula glides on like silk and looks beautiful on the face. Luscious lipstains are stronger than ever. Everything old is new again! There are all kinds of looks from retro glam to todays colorful faces. Nail lovers rejoice because it is going to be an even more bold and colorful spring for you from poppy,citrus,to lilac to metallics.It is a nail polish festival out there! Personally speaking I am addicted to OPI! Face primers will make all your colors cling and last on the face longer. Loose HD face powder will make your face makeup look picture perfect for a porefect look. Treat yourself to something fabulous and fun this season. A new lipstick and nail shade can make your look updated and happy in a flash! For a video on today’s segment please click on http://www.wjxt.com click the Morning Show or type in Noreen Young in the search tool bar. Have a beauty or skin care question? Ask. I am here for you or follow me on Twitter or Instagram too! 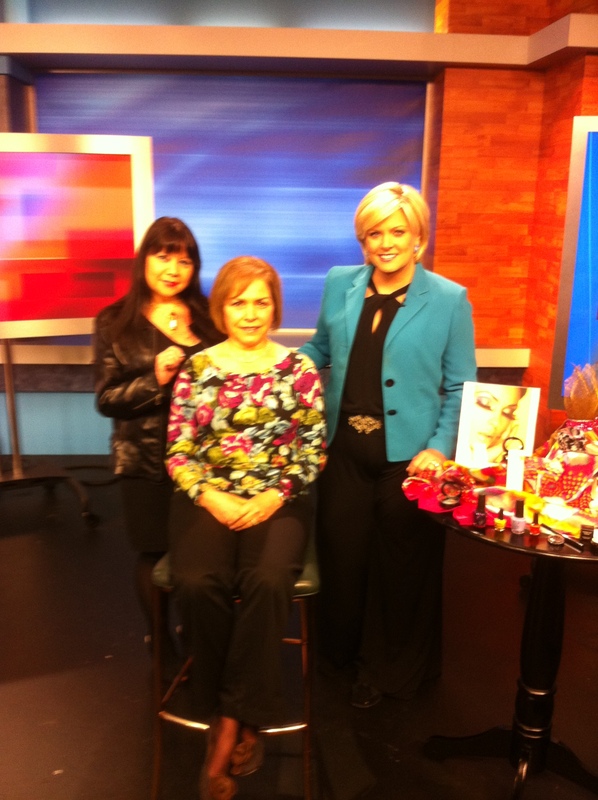 Today I did my Morning Show WJXT-TV 4 Beauty and Lifestyle Segment and I covered nail care and trends. Wish you lived here! The OPI Pink of Hearts Collection 2012 is a duo that includes “You better be Good to Me” along with ” I Think in Pink “ which I am doing most of the time! I am mad about pink anything. The sparkling glitter nail lacquer is a mauvey,pinky,silver,gold and can be worn with the shade in this kit, any other OPI shade or alone. You gotta buy one! So fun! OPI has also launched a OPI SPA Complete solution disinfectant to ward off BACTERIA and help to prevent nail fungus and infections. Make sure when you go for a mani and pedi they wash that foot bath well and use this OPI wonder! For healthy nails this season its all about keeping your nails moisturized and your hands and feet too. Fall and winter will dry them. Hydrate skin and nails before you go to sleep at night. Keep it at your bedside so you don’t forget with your face moisturizer. Wear gloves when washing dishes and pots and pans. It really does work to protect your nails. Fall and winter are going to be a color filled and FUN time for your nails to shine. Any thing goes! Mariah Carey will be the new face of OPI nail beauty when she whips up new shades with them! Can’t wait! To view today’s TV segment and to learn more…visit www.wjxt.com click and view the video on the Morning show with me! ATTENTION: NAIL PROFESSIONALS and Salon owners Victoria Nail Supply is hosting a two day event in sunny Jacksonville Florida – Sunday October 14 and Monday the 15th. If you’re a PRO you gotta go great educators and the latest and greatest in all things nails and OPI! A portion of your purchase will go to the Donna Foundation.